Where has the week gone? I haven’t found time to blog (or go to the gym) this week but after my post about accepting that I can’t ”have it all’ I decided not to sweat it (especially in the case of the gym). 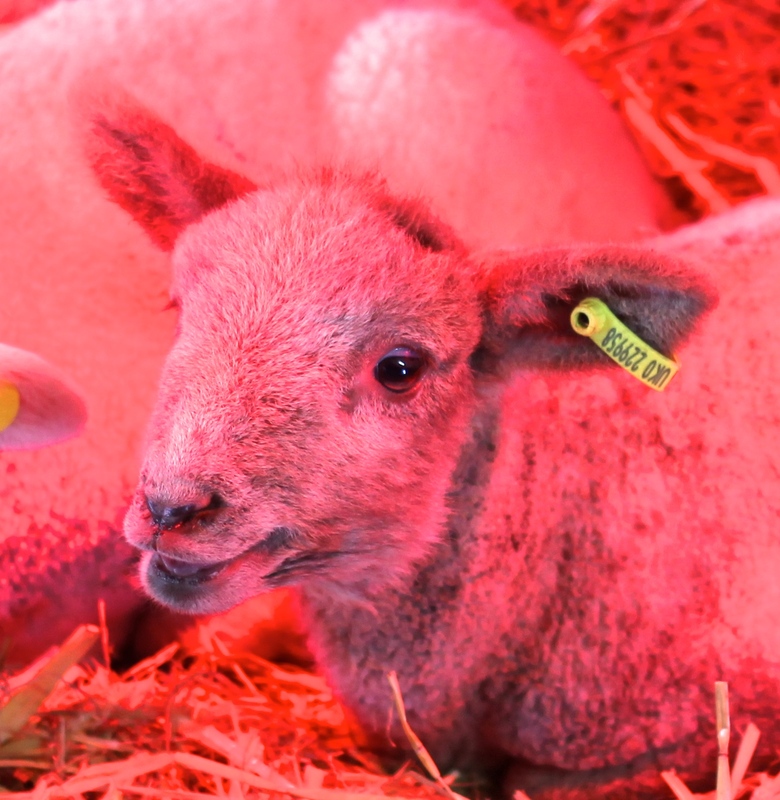 I was also running out of time to take a #MySundayPhoto (linking up with One Dad 3 Girls) but my in-laws have been visiting this weekend and we took them to Wroxham Barns to see the lambs, which were keeping warm under lamps giving them a red glow (see below). When I initially took the photo I didn’t hold out much hope because the colour was horrible but turning it black and white actually worked quite well – in my opinion anyway (although obviously I am no expert). My in-laws also arrived with a chocolate cake which my husband’s grandma had made. Is there anything better than home-made chocolate cake? After some debate we decided the toppings were carrots, maybe for Easter? They tasted delicious no matter what they were. Hopefully I’ll find time to write a bit more for fun soon. I love this photo, it works great in BW! Thank you. How lovely to live next to a farm. I’ve not seen any lambs yet, but I will be on the look out now. A sign spring and easter are on the way! Yes, for sure. I can’t wait for spring but you’re right, the signs are all there that’s it’s on its way. Thanks for commenting. Lovely photos! A sure sign spring is coming! Oh a lovely spring photo, I definately prefer the b&w one, its a great photo. 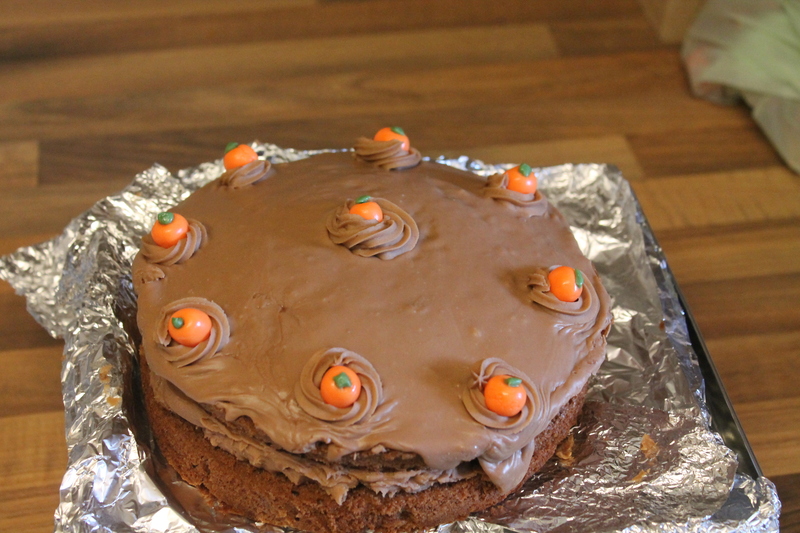 That chocolate cake does look very yummy!